The gîte is a traditional ivy-covered village property overlooking the Canal du Midi in the enchanting hamlet of le Somail. One of the most picturesque bridges (see photo at bottom of this page) in France straddles the canal which is home to a colourful flotilla of pleasure craft, and is now designated a World Heritage Site. Behind the house the vast vineyards of the Minervois stretch away north to the Montagne Noire, and to the west orchards of peach and nectarine provide delicious fresh fruit in season. 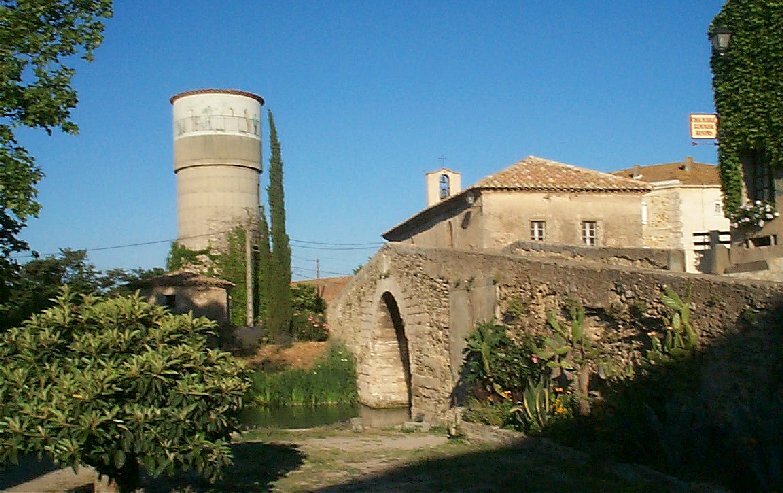 There are two excellent canalside restaurants in Somail, a supermarket is just 2kms away, the lovely old town of Narbonne 13kms, and the Mediterranean beaches 26kms. 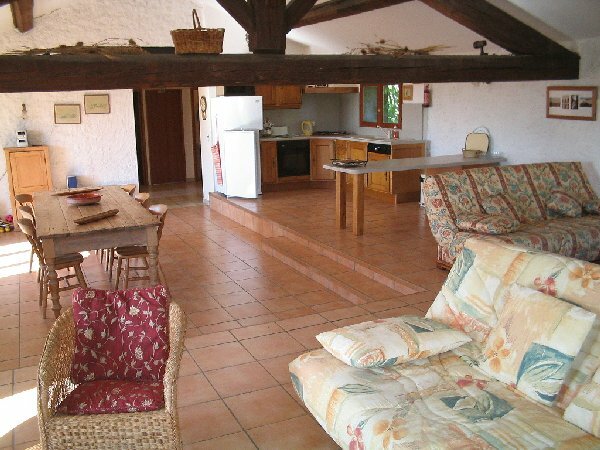 Le Somail is a perfect location within easy reach of beaches, lakes and mountains and this gîte is an ideal base from which to explore this fascinating region. A wooden staircase leads from the entrance up to its two bedrooms. Opposite the twin bedroom is a bathroom with shower whilst the master bedroom has an en-suite bathroom with bath and shower. Across the landing is a magnificent split-level open plan living area with traditional beamed ceiling and windows on three sides. The well-equipped kitchen has a fridge/freezer, dishwasher, electric oven and gas hob. This is separated by a breakfast bar from the spacious dining area. Comfortable sofas face one another on the upper level to create a more formal feel whilst below there is relaxed seating with a television. French windows open onto the roof terrace with barbeque, garden furniture and views across the vineyards. The washing machine is in the third bathroom located on the ground floor en route to the pool which is shared with the friendly couple next door who run a boat hire business on the canal, & look after the house. 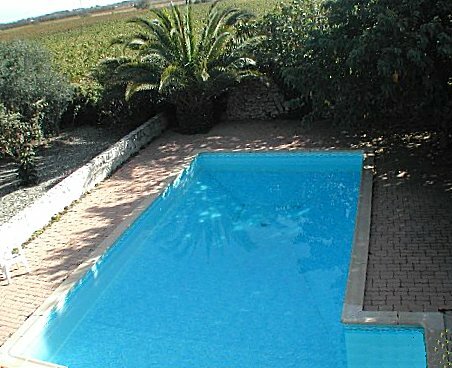 Weekly Prices : 2013 " Le Somail Gite "
All prices are weekly - 10% Discount for 2nd & Subsequent Weeks. Weekly Prices : 2013 " Le Somail Gite Short breaks "
© 04/03/2007 - Sysnix Consultants Ltd. -- All Rights Reserved.